As mentioned in the previous blog post (see blog post date 16th March 2014) I have been recently introduced to a piece of software called Blender. 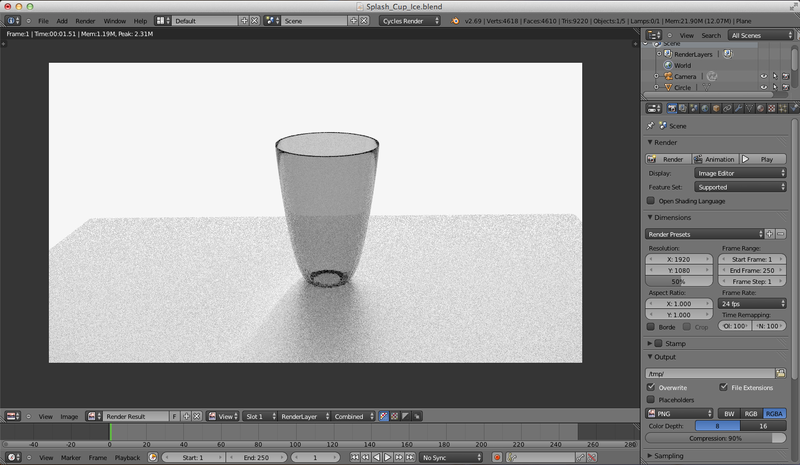 I have continued to do tutorials for Blender in an attempt to increase my skills. However along with that I have also been trying new techniques on Blender myself, in an attempt to better understand how each material, modifier and lighting works, within the software. What I have found through exploring the software, is that despite how well you have made an object and how realistic the shape and material maybe, it is the lighting that really ensures that the final render is realistic and stunning. This is problem that I have begun rot encounter, because my knowledge of how the lighting within Blender works and how it reacts with different materials and surfaces is effecting the overall quality of renders that I am making. This can be seen in the image below. The image below is of a glass that I was attempting to make. However from the image, despite the fact that the render has a very low sampling, which means that the quality of the image is not as good, it is clear to see that because the surfaces and lighting are not correct that the overall quality of the object that I have made has dropped. 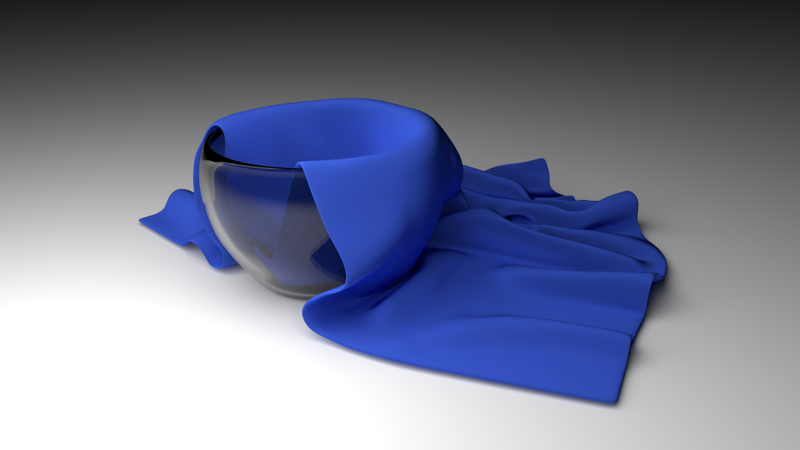 However as seen in the image below (which is a image that is rendered with a high sampling rate) that as the lighting is correct the overall quality of the rendered image is much, much higher. This means that I am going to have to spend some time studying how the lighting in Blender works and reacts with different objects, because my overall goal using this piece of software is to create a number of photo realistic images.